Well, okay–given the heatwave we are still in the midst of, it isn’t exactly easy or pleasant these days, but I do like that old tune. Since early June, I’ve been longing for childhood summer days, (and envying those that still get them! )– three months off, playing outside nearly every day, riding our bikes to the pool, not caring how hot and humid it got, staying out late to catch lightning bugs in a jar. Yeah, summer was way more fun as a kid. Yeah, I said it. Way more fun. Needless to say, most of my time these days is spent indoors trying to “keep my cool”. I’ve been doing some Summer cooking inside, making use of some of the new kitchen gadgets we received as wedding gifts. I’ve made lemon zest before, but never with a real zester. And my new Kitchenaid funnels? Kept the lemon seeds out of my smoothie! 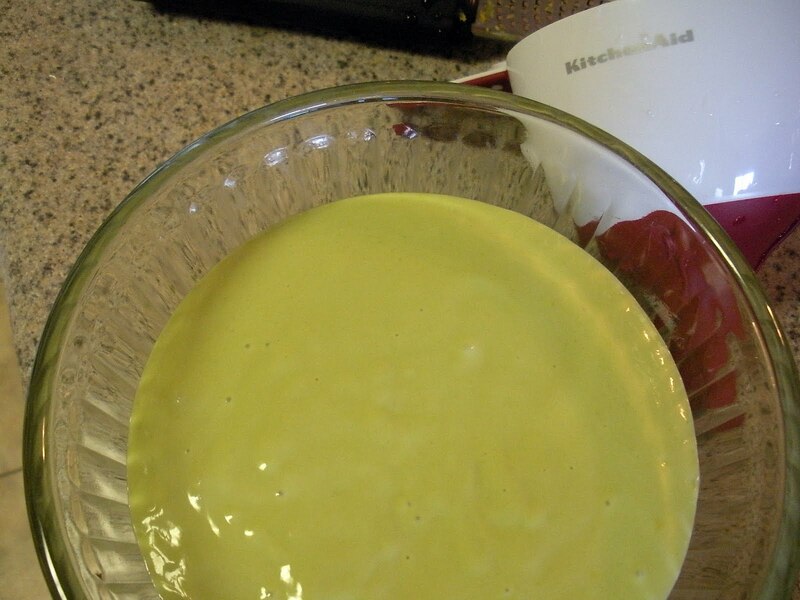 Actually, this green goo is not a smoothie, it’s Avocado Ice Cream. No ice cream maker needed–and it’s fabulous. My sometimes picky sweetie even liked it. It could be consumed as smoothies as it was pretty tasty even before being frozen. I made a rhubarb pizza one day, and because my sweetie won’t eat rhubarb, I consumed the entire thing myself over the course of a few days. I did run the oven for that one, but not for a very long time. Easy, quick and delish! 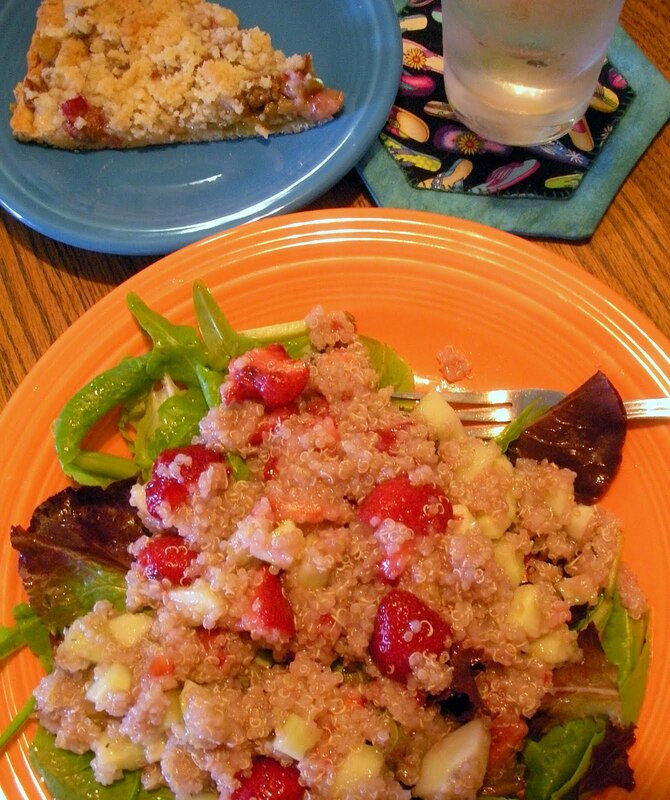 And I made my favorite summer entree, Strawberry Cucumber Quinoa Salad. Yum. If only I had the ambition to cook this way all the time, we’d be eating a lot healthier. 1. 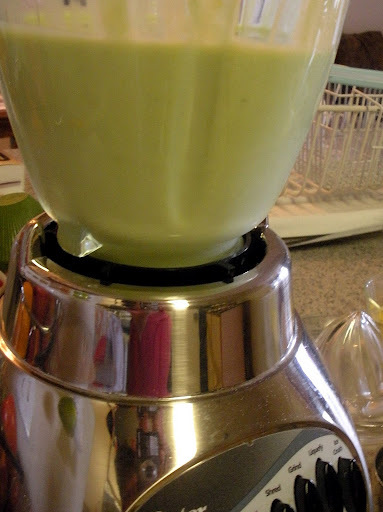 Combine avocado, half-and-half, sugar, lemon zest, and lemon juice in a blender. Puree until completely smooth. 2. Poor mixture into a 2-quart dish. Preheat oven to 350 degrees. Butter pizza pan. In medium bowl, stir together flour, baking powder and salt. 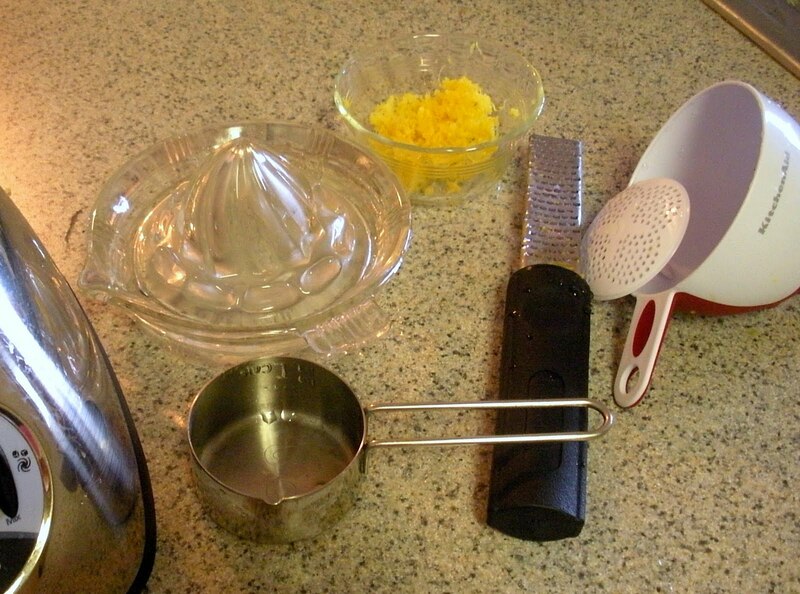 Cut in butter until the dough becomes small crumbles and butter is well-distributed. Stir in the egg/milk mixture to form a dough. Press dough into pizza pan, using your hands, slowly working the dough to the edges of the pan (wet fingers as you go if the dough seems to sticky to spread). For topping, top unbaked crust with rhubarb. Sprinkle gelatin powder evenly over the rhubarb. Mix the sugar, flour and butter, sprinkle over the top. Bake 40 minutes until slightly brown on top, cool for at least one hour before serving. Cook quinoa according to package directions. Transfer to a large bowl and let cool completely, about 20 minutes. Stir in strawberries, cucumber and 1/4 C of the dressing. In second bowl, combine the salad greens and the rest of the dressing; toss to coat. Divide salad blend among four plates, top each with equal amounts of the quinoa fruit mixture. Because I am usually cooking for two, I onnly prepare enough of the salad greens for two servings, refridgerate the leftover quinoa fruit mixture for up to three days, and preapre greens later as needed. This one to honor my sister and the little gal she is about to bring into the world. 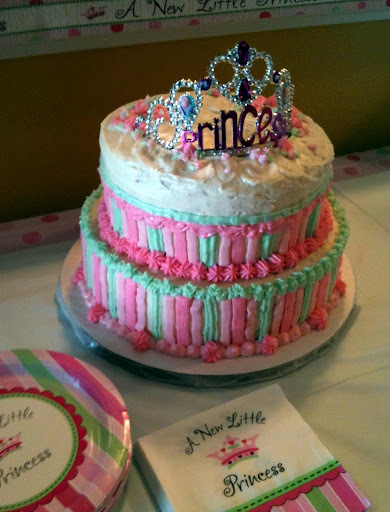 The cake itself was cherry chip/white chocolate and that icing is pure, from-scratch, Doris-made, all calories included old-fashioned buttercream. YUM. My own design, trying to emulate the design of the paper products her mother-in-law chose for the party. For my Summer Quilt, see my last post. And for all the other Summer Quilt Show and Recipes go here. I'm totally making that avocado ice cream. I totally can't believe you aren't going, sigh. Rhubarb — brings back memories of it growing in our back yard. We'd pick a stalk, grab a teacup and sugar and just eat-n-dip. Thanks for the smile. It's all about the simple things. I made Mary Jane's avocado ice cream and the ginger snaps. Oh, it was so yummy! Happy Summertime to you! I love avocados and I love ice-cream so I`m going to give this a go. I`ve never heard of a sweet pizza and that sounds interesting too. Very cool. Did you just recently get married? 🙂 That cake is amazing! you must be an amazing cook! I love rhubarb. It brings back lots of memories. Like Lois, we used to grab it out of the garden, come inside, and stick it in the sugar jar and then eat it raw. My husband and his family make lots of rhubarb things, but they have never eaten it raw. They think I'm nuts. Haha.